I didn't know this at the time, but this film was based on a play which was a finalist for the Pulitzer Prize in 2014. The same lead actress is in both the play and the film too. It had an interesting premise about artificial intelligence, memory, and aging. The performances were great, but it was definitely one of the more depressing ones we watched. Andrew knew this was the one I had to see if I had a chance to pick. Based on the life of J.D. Salinger, this movie was written and directed by Danny Strong (of Gilmore Girls fame, but I will always remember him as Jonathan from Buffy). The Catcher in the Rye is one of my favorite books and I'm glad Andrew was able to get tickets to this, because this ended up being one of my favorites of the year. 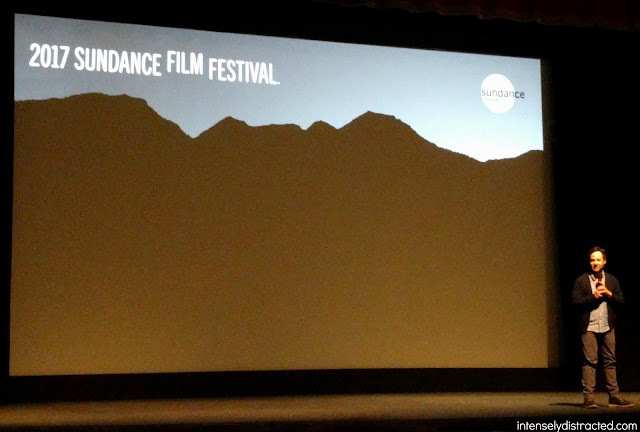 It wasn't super artsy as some Sundance movies are and was definitely something a mainstream audience would enjoy. 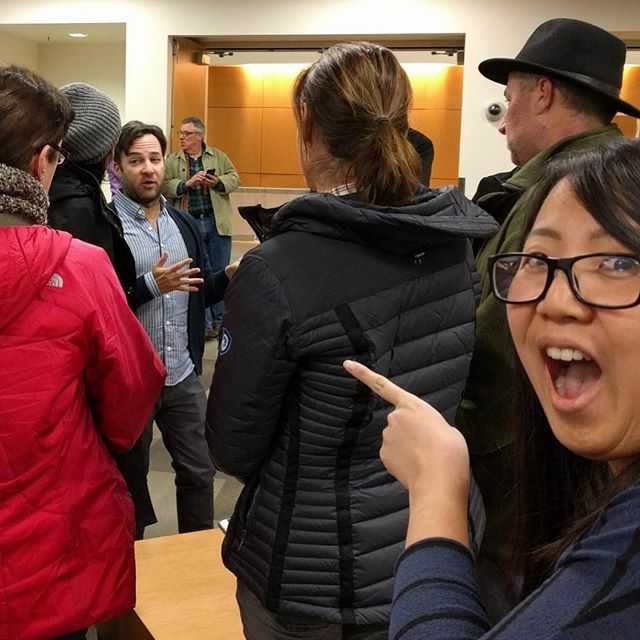 The best part of the whole experience was taking part in the intimate Q&A session Danny Strong held after the usual session. That has never happpened before with any cast/crew from any film. A small crowd of us got to hang out with him in the cafetaria outside the theatre and I braved my fears to ask him my question about casting. I wanted to ask in the theatre but chickened out so I'm glad I was able to ask in the smaller setting. I asked him how he went about casting the movie, assuming actors were fighting to play Salinger (which is as close to Holden Caulfield as you're going to get). I assumed wrong and a lot of actors were actually afraid to take on the role of Salinger. He was amazing and thoroughly answered my question and all questions asked. I got a pic with him when he was answering questions and I wish I had stopped him later to get a better pic, but I'm pretty happy with what I got. 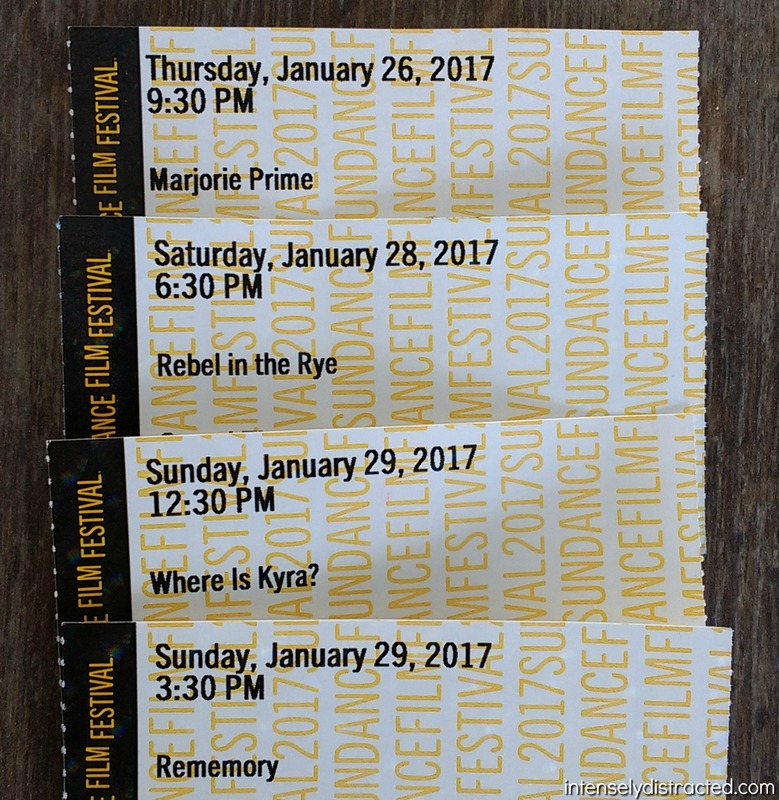 We watched this one back-to-back on the last day of Sundance. We didn't have any luck with Q&As this last day, but we did have the director stop by on his way to the airport to introduce the movie which was pretty cool. To me, this was a very Sundance-esque kind of movie because it was very gritty and depressing. We probably should've expected it though after we realized it was about poverty. It was well done, but too depressing to watch again. Andrew was sold on this movie because of Peter Dinklage and ended up being his favorite movie this year. If it weren't for my obsession with The Catcher in the Rye and the Q&A session, I would say this was my favorite as well. Part sci-fi, part murder mystery, this movie was intriguing all throughout. This one also dealt with memory and loss which seemed to be the themes in this year's picks. I found out afterward that the writer/director of this movie also directed Penelope which is interesting since the movies are so different from one another. This year was one of the best Sundance years for us. We had some great picks and we got to hang out with friends and family. 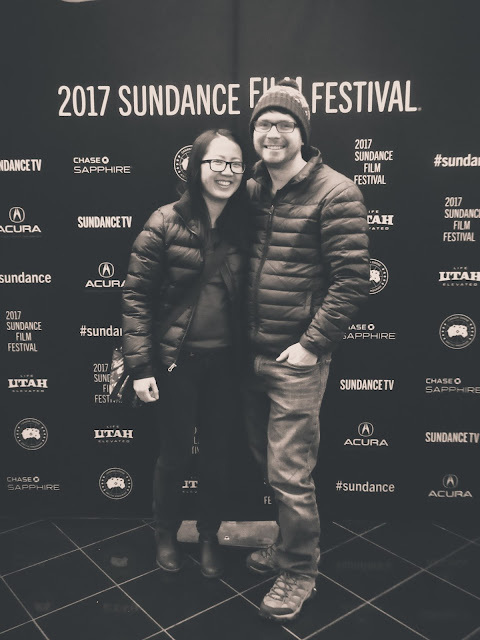 Per tradition, we were able to catch a couple of movies with the Sabins which is always fun and we were able to spend a day with my cousin, Ben, who visited specifically for Sundance. Andrew did a great job picking the shows and I actually enjoyed knowing very little before seeing each film. I can't wait for next year! Andrew did not miraculously remember to buy tickets. If he told you that, he lied. 😊 We called him the night before to remind him and he had, as we assumed, completely forgotten about it. But, all is well that ends well. I’m glad Sundance is a tradition we’ve been able to enjoy together for many years.